A harsh wind fills the city. Sounds of familiar feet filling familiar shoes tap the sidewalk of the City. Tip, tap, tip, tap, Mickey Rourke back as Marv. Click, clack, click clack, Rosario Dawson returns as Gail. Click, clack, click, clack, the city has it's heartbeat. 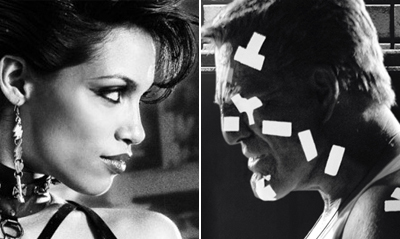 Two bullets in the chamber of the anthology film that is Sin City: A Dame To Kill For.